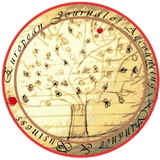 Manuscripts submitted for consideration to European Journal of Accounting, Finance & Business must conform to some requirements that will facilitate preparation of the article for publication. All manuscripts will be edited using the MS WORD and wil be in English. Make sure that there are no grammatical errors, typos and that your manuscript doesn't have sentence composition and structure issues. Although the length of submitted papers is no criterion for evaluation, we would appreciate if the manuscripts would consist of not more than 20 pages. The Abstract should be informative and completely self-explanatory, briefly present the topic, scope of the work, significant data, and point out major findings and conclusions. The Abstract should be 100 to 200 words in length. Complete sentences, active verbs, and the third person should be used, and the abstract should be written in the past tense. Standard nomenclature should be used and abbreviations should be avoided. No literature should be cited. Following the abstract, about 4 to 16 key words that will provide indexing references should be listed. Also JEL Clasification (Journal of Economic Literature) classification code is required. Find this classification at: http://www.aeaweb.org/jel/jel_class_system.php. A list of non-standard Abbreviations should be added. In general, non-standard abbreviations should be used only when the full term is very long and used often. Each abbreviation should be spelled out and introduced in parentheses the first time it is used in the text. The Introduction should provide a clear statement of the problem, the relevant literature on the subject, and the proposed approach or solution. It should be understandable to colleagues from a broad range of disciplines. Materials and methods should be complete enough to allow possible replication of the research. However, only truly new research methods should be described in detail; previously published methods should be cited, and important modifications of published methods should be mentioned briefly. Capitalize trade names and include the manufacturer's name and address. Subheadings should be used. Methods in general use need not be described in detail. Results should be presented with clarity and precision. The results should be written in the past tense when describing author's findings. Previously published findings should be written in the present tense. Results should be explained, but largely without referring to the literature. Discussion, speculation and detailed interpretation of data should not be included in the Results but should be put into the Discussion section. The Discussion should interpret the findings in view of the results obtained in this and in past studies on the topic. State the conclusions in a few sentences at the end of the paper. The Results and Discussion sections can include subheadings, and when appropriate, both sections can be combined. Tables should be kept to a minimum and be designed to be as simple as possible. Tables are to be typed double-spaced throughout, including headings and footnotes. Each table should be on a separate page, numbered consecutively in Arabic numerals and supplied with a heading and a legend. Tables should be self-explanatory without reference to the text. The details of the research methods should preferably be described in the legend instead of in the text. The same data should not be presented in both table and graph form or repeated in the text. References should be listed at the end of the paper in alphabetical order. Articles in preparation or articles submitted for publication, unpublished observations, personal communications, etc. should not be included in the reference list but should only be mentioned in the article text (e.g., I. Bostan , University Stefan cel Mare of Suceava, Romania, personal communication). Charles E, Stanley J, Clark J (2004). Big Bath Earnings Management: The Case of Goodwill Impairment Under SFAS No. 142, Available a http://www.journals.cluteonline.com/index.php/JABR/article/view/2206/2183. J. Appl. Bus. Res. 20:2. Feleaga L, Feleaga N (2006). Controverse privind politicile de evaluare, depreciere si contabilizare a fondului comercial. Available a http://www.ectap.ro/controverse-privind-politicile-de-evaluare-deprecieresi-contabilizare-a-fondului-comercial-de-niculae-feleaga-liliana-feleaga/a111/. Economie Teoretica si Aplicata 6:501. Tiron TA (2005). Combinari de intreprinderi - fuziuni si achizitii, Editura Accent, Cluj Napoca. Yang JM (1927). Goodwill and other intangibles: their significance and treatment in accounts. The Ronald Press Company, New York p. 29. Yuan D, Herve S, Jacques R (2007). Towards an understanding of the phases of goodwill accounting in four Western capitalist countries: From stakeholder model to shareholder. HEC Paris in its series Les Cahiers de Recherche with number 872. Available a http://ideas.repec.org/p/ebg/heccah/0872.html#provider. Copyright: Submission of a manuscript implies: that the work described has not been published before (except in the form of an abstract or as part of a published lecture, or thesis) that it is not under consideration for publication elsewhere; that if and when the manuscript is accepted for publication, the authors agree to automatic transfer of the copyright to the publisher. Also, we wish to state that authors are responsible for the content of their manuscript as the Europen Journal of Accounting, Finance &Business will not held liable for any breach of copyright issues by any author. A manuscript template is available here. Papers submitted to European Journal of Accounting, Finance & Business will be screened for plagiarism using Turnitin plagiarism detection tools. The editorial team will immediately reject papers leading to plagiarism or self-plagiarism. IMPORTANT: All papers will be sent along with the EJAFB Registration Form, hand signed and scanned, in .pdf or .jpeg format. All submissions should be made online. please do so by using one of these two e-mail adresses: ejafbusv@gmail.com or ejafbuvt@gmail.com. All correspondence, including notification of the Editors decision and requests for revision, takes place electronically.